Posted on Sat, Nov 3, 2012 : 8:37 a.m.
Crews were removing a damaged vehicle from the I-94 crash scene at about 10 a.m. Saturday. 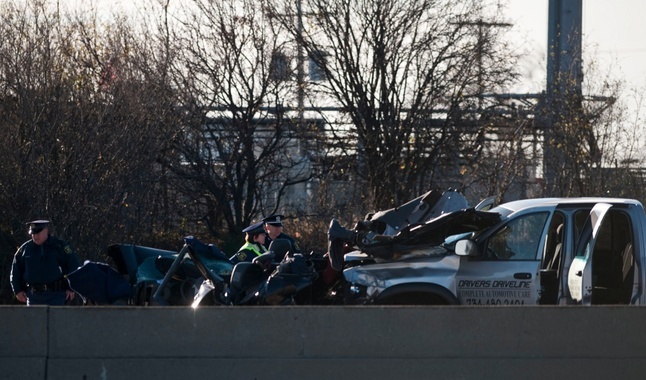 Michigan State Police are investigating a fatal crash on I-94 Saturday morning. The incident also left two other people in critical condition, according to information from the Pittsfield Township Fire Department. 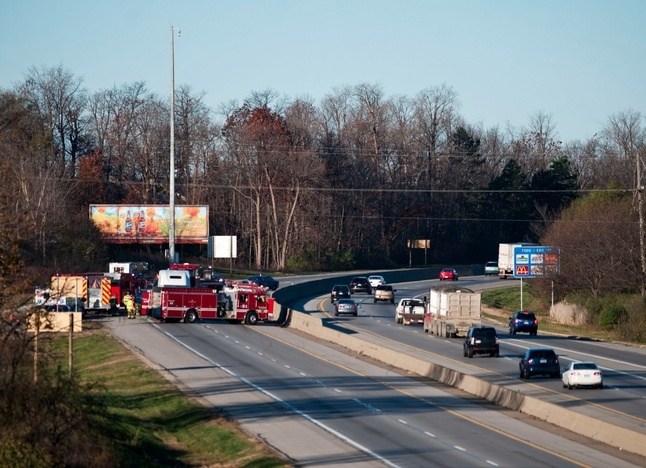 The Washtenaw County Sheriff's office alerted motorists that eastbound I-94 would be closed at Ann Arbor Saline Road starting at about 8:30 a.m. due to the accident investigation. It was reopened about 11:15 a.m. The crash was reported just after 8 a.m. and it involved three vehicles, Pittsfield Township fire officials said. One victim was pronounced dead at the scene. "Two patients in (another) one of the vehicles were pinned in and required extended extrication," according to a news release. Firefighters from Ann Arbor also responded to the scene. Drivers in the area on Saturday morning reported extensive backups on I-94. The backups are believed to have been a result of Michigan Department of Transportation work on I-94 between US-23 and South State. That work included both a ramp and single lane closure from midnight until 7 a.m. as MDOT employees installed a sign on a post that extended over the highway. Rescue crews responded to the scene of the fatal crash Saturday morning. 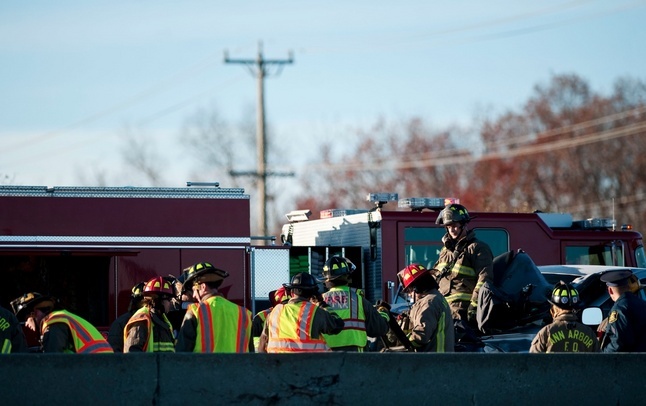 The crash on I-94 on Saturday morning closed the eastbound lanes of I-94 for more than an hour.